Want to be notified of new releases in cheesecakeufo/komorebi? (n) sunlight filtering through trees. Komorebi is an awesome animated wallpapers manager for all Linux platforms. It provides fully customizeable image, video, and web page wallpapers that can be tweaked at any time! How do I install Komorebi? Download Komorebi from the Komorebi releases page. 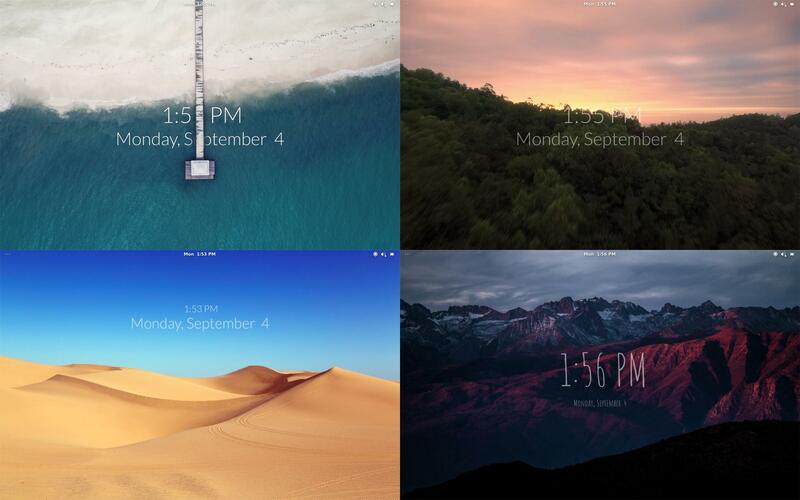 How do I create my own wallpaper? You can use either an image, a video, or a web page as a wallpaper and you have many different options to customize your very own wallpaper! Komorebi is slow. What can I do about it? Komorebi includes support for video wallpapers that might slow your computer down. You can disable support for video wallpapers in 'Desktop Preferences' → uncheck 'Enable Video Wallpapers'. If your issue has not already been reported, please report it here and I'll try my best to fix them. Why does Komorebi install files in a macOS-like structure? Komorebi was originally intended to run on an unreleased OS project. Since many people already use Komorebi, an update could potentially break Komorebi and custom-made wallpapers. It is possible to change the file structure with code changes and a postinst script but I'd rather keep it as is for now or if you have the time to make one, feel free to do so and submit a PR! Komorebi still receives updates but they are not as frequent due to my involvement in other open-source projects.